Brenda Drake is a rock star of the writing community. In addition to being a fabulous YA writer in her own right, Brenda is known by authors far and wide as the mastermind behind the Twitter writing contest phenomenon known as #pitchwars. 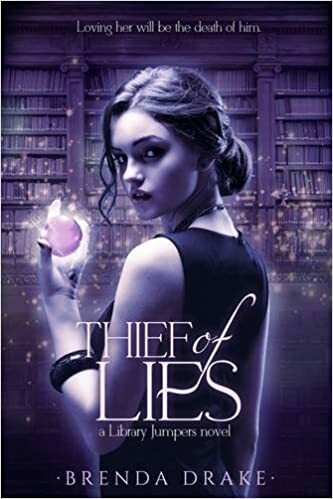 This year saw the publication of Brenda’s YA novel, Thief of Lies, which has a concept book lovers everywhere will adore: characters who time-jump between the world’s most beautiful libraries. Brenda was kind enough to take a moment out of her busy schedule to answer questions about the new book. Brenda, you’ve interviewed MANY writers and other industry professionals as part of your involvement in the amazingly successful phenomenon known as Pitch Wars. As a writer who has just released her first book, how does it feel to be on the other side? It feels great! It’s been such a long journey, but I’ve been distracted enough by the contests and celebrating other writers’ successes that it almost flew by. The community has been so wonderful to me, and I love giving back to writers. I’m humbled by the generosity of the mentors and the participants behind Pitch Wars. It’s been a great run! What made you fall in love with your novel? So many things made me fall in love with it. First, there’s the libraries and the ability to jump through pages and end up in another beautiful library anywhere in the world. Then there’s the characters, especially Gia. I’ve been in Gia’s head for so long, she feels real to me. The publishing industry is a notoriously slow-moving machine. From writing to publication, how long was the “birthing” process of your book? What have some of the highlights been? This story has taken a long journey. Full of mistakes that took me off the path and on detours before bringing me back to the right road. I started writing this book in 2009. It’s seen me through changing agents and publishers. There were heartbreaking moments and many highlights. I think going through editing and molding the story to what it is today was definitely a one highlight. And when a reader loves your work, that’s a wonderful feeling. I try to tune out the negative now, though it’s hard. I have to say, my journey is what it was supposed to be. It’s what molded me into who I am today. And I couldn’t be more thankful. I’ve been reading many of the Pitch Wars mentors’ books lately. Everyone should try them. They are so good! If you want to try them, they’re listed on my website on the sidebar. You’d be happy you did. A book other than from my Pitch Wars friends? 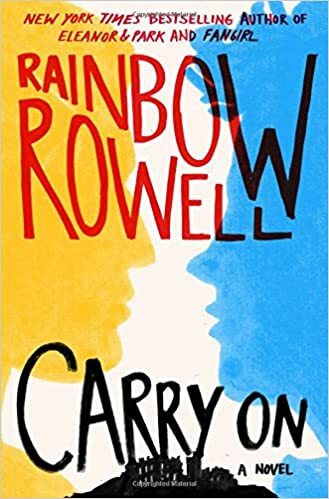 I finished Carry On by Rainbow Rowell. Loved it! It was so amazing. You all should read it. Having an online presence is a big deal for writers. How do you balance writing and social media? Lately? Poorly. I’m sort of all over the place nowadays, and I just hop on social media during breaks. When I don’t have so much going on, I schedule my day. In the morning, I grab coffee and do social media while I’m waking up. Then I write, hop on social media during lunch, run errands, or clean if I have to. When I’m done, I write until dinner. I’ll usually hop on again at night if there’s nothing going on or haven’t passed out. In the early days of crafting your novel, were you shy about sharing what you’d written with others? I was terrified about sharing my work with others. I would take critique personally and want to give up. It was horrible. Then I grew up. Now, I tell my critique partners not to sugar coat their critiques of my work. I take it with a shot of whiskey and dive in. Do you have a critique group and, if so, how did you find them? I have a small group of critique partners. I found them online. I met one during NaNoWriMo and the others during my contests. I don’t meet with a group here where I live. It’s all online. I have met my critique partners in person at conferences. They are my writer soulmates and I feel like I’ve known them all my life. Many writers have dark moments while working on their novels, times when they’re not sure they’ll ever finish. If you encountered hurdles like this, how did you overcome them? I’ve been through many dark times. I can fall into a depression that will take me time to get out of, so I’m careful. I change my setting – go to a Barnes and Noble or Starbucks to write. If that doesn’t work, I reach out to my writing friends who understand what I’m going through. After I talk it out and get in a better mood, I can jump (pun intended) over those hurdles and plow through what I have to get finished. Brenda Drake is the author of Thief of Lies (Library Jumpers Book 1) and Touching Fate (Fated Series Book1) both available now from Entangled Teen. She grew up the youngest of three children, an Air Force brat, and the continual new kid at school. Her fondest memories growing up are of her eccentric, Irish grandmother’s animated tales, which gave her a strong love for storytelling. So it was only fitting that she would choose to write stories with a bend toward the fantastical. When she’s not writing or hanging out with her family, she haunts libraries, bookstores, and coffee shops, or reads someplace quiet and not at all exotic (much to her disappointment).